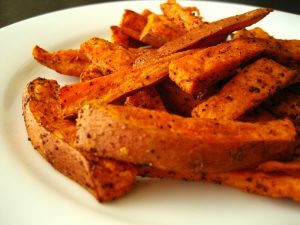 As versatile as normal potato fries, air fried sweet potato fries are generally regard as much healthier, and can be combined and spiced up with your favortie seasonings. This is another side dish the air fryer excels in. Please let us know of your seasoning tips in the comments section.